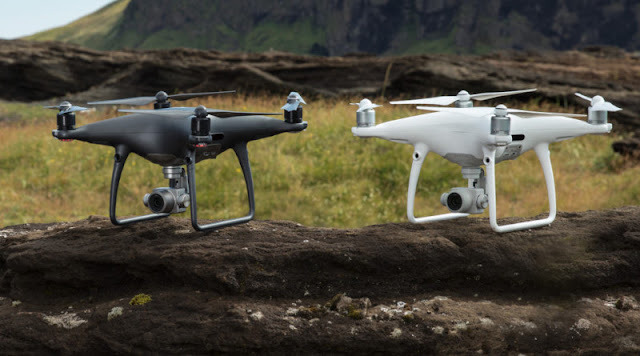 Like everybody else today, DJI took advantage of IFA in Berlin to announce a few new products. In addition to an 'Obsidian' version of the Phantom 4 Pro and a new shooting mode for the DJI Spark, DJI revealed the Mavic Pro Platinum: a longer-lasting, quieter version of the popular foldable DJI Mavic Pro. 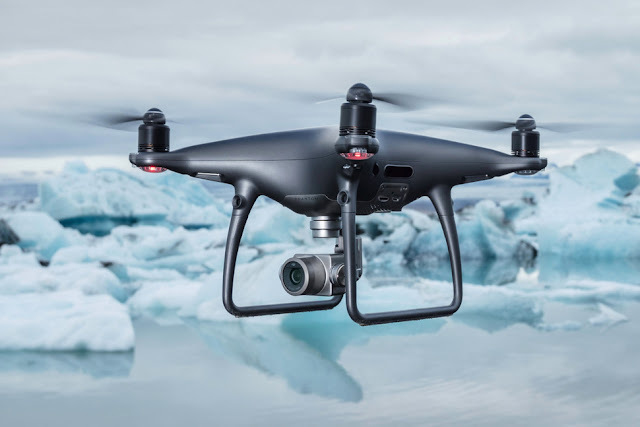 Dji Phantom 4 Pro Obsidian was created for professionals who demand excellence while capturing images and video for a commercial client or documenting a wedding, the Phantom 4 Pro Obsidian has a large 1” CMOS sensor and a 4K 60fps recording capability. 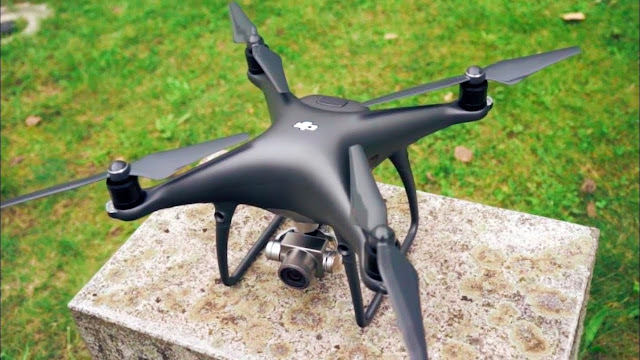 In addition, the Phantom 4 Pro Obsidian offers H.265 video compression, which substantially improves video quality at a maximum bit-rate of 100mbps. The DJI Phantom 4 Pro Obsidian will retail for 1,589 GBP (1,699 EUR) and will be available later this month. The Obsidian’s FlightAutonomy is made up of vision sensors in the front and rear, as well as left and right side infrared, to offer 5-direction obstacle sensing and 4-direction avoidance, helping pilots keep the quadcopter safe. A flight time of up to 30 minutes is available due to the 15.2V 5870 mAh Obsidian Intelligent Flight Battery. A maximum range of 4.3 miles (7km) is also available allowing you to take your drone even further. The Phantom 4 Pro Obsidian can also reach a maximum speed of 45mph when flown in the Sport Mode and up to 31mph in other modes. The Dji Phantom 4 Pro Obsidian can capture images with its 1-inch, 20-megapixels camera and video in 4K at 60 fps. The Obsidian’s Burst Mode is capable of capturing stills at 14 fps. There are no differences between Phantom 4 Pro and Obsidian edition. The only difference is the design mode "Black Color". This is why if you already have a phantom 4 pro or phantom 4 advanced you don't need to have "Obsidian Edition" because after few weeks you will have some cases for your phantom 4 pro in black color. "The Dji Phantom 4 Pro Obsidian can capture images with its 1-inch, 20-megapixels camera" .....yes this is technically correct, but just like the Pro "White" you can't use all of those 20mp, because the lens' image circle doesn't effectively cover the sensor. The so called "20mp" images from the P4P/Obsidian are in fact interpolated and not a true native 20mp image at all.